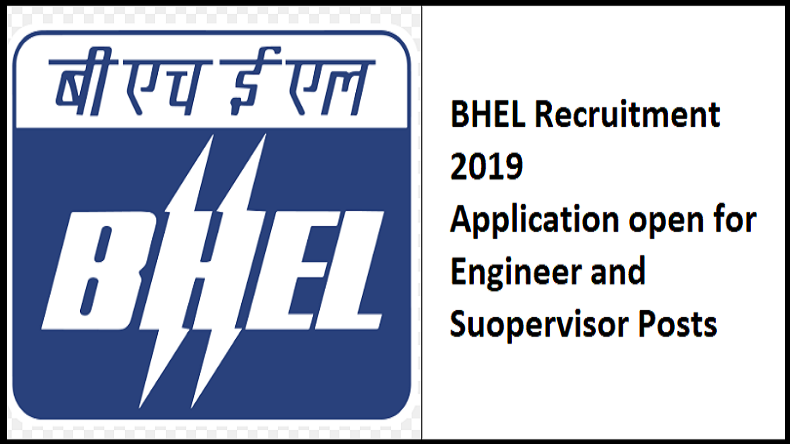 BHEL Recruitment 2019: Applications are invited for Engineer and Supervisors posts through the official website of Bharat Heavy Electricals Limited (BHEL). Candidates need to check the notification before applying online at careers.bhel.in. BHEL Recruitment 2019: Bharat Heavy Electricals Limited (BHEL), Chennai has released a notification inviting applications from interested and eligible candidates for various posts of Engineer and Supervisors on its official website. Thopse who wants to apply for the posts can check the notification and start applying through the prescribed format on the official website. Candidates must note that they need to fulfil the eligibility criteria for being eligible to register themselves for the vacant posts. According to reports in a leading website, the last date for the submission of the filled up application forms has been scheduled for February 18, 2019. Candidates need to log into – careers.bhel.in for more information regarding the recruitment process of the post. How to check the official notification and apply online?